Description If durian isn't your favourite fruit? You better consider it. We give chance to durian take revenge by tearing all commoner fruit like apples and oranges and to be loved by you. Watch out to not fall from the cliff, use the ability to double jump that we give. Avoid the fruit-eating plant that can destroy your favorite Durian in seconds. And don't forget to crush every fruit in your way to keep durian stamina high. 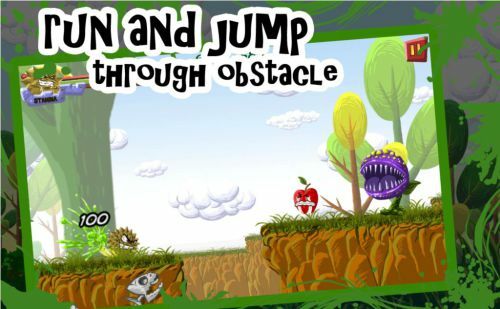 This game is very addictive and adrenaline rushing, with polished and cool artworks that can tickle your vision. Collect the adorable Durian alter-ego, from punk, hip-hop, and also renaissance style by get a high score, and play with them. Click to jump and survive as long as you can. Hit other fruit to increase speed and beware of cliffs and cannibal plants. Get score as many as you can to unlock another fancy Durian styles.